All tourist guides need to register as a tour guide. Having a registered tour guide ensures visitors a positive experience. Registered tour guides abide by a code of conduct, are suitably qualified and trained in First Aid. 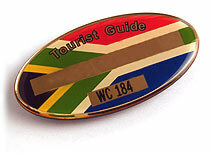 The Tourist Guide Registration Office provides Guiding Registration as well as Development Services. The office keeps a Register of tour guides and registration is for a three-year period. We endeavour to develop, improve and maintain standards in the sector and strive to promote the tourist guiding sector within the province. If you intend to be contracted or employed as a tourist guide by a company, close corporation, tour operator or if you wish to be a freelance tourist guide, the provincial tourist guide office of the Department of Economic Development must register you. The tourist guide registration office works for you and is committed to transformation, job creation, and economic participation. The cashier is closed from 12:30 to 13:00 each day and closes at 15:00 except on the last day of the month when it closes at 14:00.